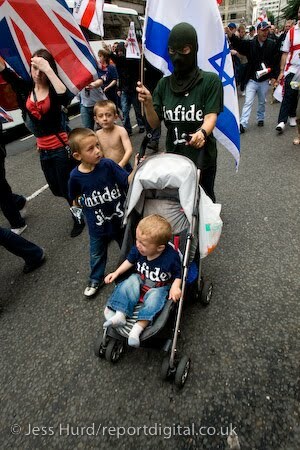 Woman wearing a balaclava, her children dressed in ‘Infidel’ t-shirts marches to “Ban the Burka”. Organised by the English Nationalist Alliance and supported by members of the English Defence League. Westminster, London.